Been watching the first season of The Twilight Zone, many episodes have a pen shown in them. A dual pen Sheaffer desk set appears several times in different episodes, likely the same one. One alternate future episode had what appeared to be a Eversharp Skyline pencil in the background ("Third from the Sun" @ 23:00 or so). DiNozzo: "Standard gift for fancy people." How in the world do you hold a pen like that? Some people do hold their pens fairly high up, but this did seem rather extreme. Still, although I don't know Korean script, and can't judge his handwriting, the actor did seem to be writing quite easily this way. I wondered if it was because Asian forms of writing had traditionally used brushes rather than pens, and you would tend to hold those fairly high. That's just wondering, though; it could just be a quirk of this actor. Someone who actually lives in Korea, or has been there, might be able to comment. I think you're right. I only know about Chinese calligraphy, but I believe that Korea and Japan originally borrowed this approach, in which the brush is held just in that way. It gives a compromise between control and flexibility. Edit: actually, I think you're supposed to hold the brush between the second and third fingers. So this pen hold is not entirely like brush painting. In the 2012 politically incorrect satire "The Dictator", the character played by Sacha Baron Cohen ("Admiral General Aladeen") is given a Sheaffer with an inlaid gold nib to sign the new "democratic" constitution of the fictitious country of Wadiya. I concur the high hold on the pen is very similar to how a calligraphy brush is held. I can't say I've ever seen anyone hold the brush between the second and third finger. The ones I've seen held the brush in a modified tripod, held rather high up the brush handle. One explanation I got from a Korean calligrapher for the high hold was that the traditional Korean clothing had baggy sleeves (which they used as pockets of some sort) and people didn't want to get ink on their sleeves. Perhaps he was pulling my leg. Who knows? and in episode 2x15 another character cuts into it (or, one hopes, a prop replica) to steal it. I was trained by a real Chinese calligrapher and artist to hold the brush between the second and third fingers. It's basically the same way you hold chopsticks. It gives you both control and flexibility for various kinds of brush strokes. You don't need to hold it very far up the handle, except perhaps with a very large brush used for writing huge characters. Korean brush painting was originally derived from the Chinese art, but I don't know how far it's diverged since then. Of course, writing with a pen is different. People have various ways of holding pens in Asia, too. And, in filming the movie, they probably wanted the camera to have a good angle to see the writing in the journal, so that may be why this fellow held the pen so high. I agree with Dr Grace's comments. Below is the traditional way to hold a brush in Chinese, Japanese and Korean calligraphy. Although for a brush this size, people seldom hold the brush so high up. In any case, when writing with a brush, no part of the pen holding hand is supposed to touch the paper or the desk. In the new Netflix series Sense8, one of the characters uses her Lawyer's blue AL Star to sign a document. Fair warning if you watch, lots of "adult content"
In the movie Hugo, the automaton used a dip pen to draw. Thanks for the illustration. I see what is meant by between second and third fingers. The calligrapher I saw mostly held the brush in a similar manner as depicted in the picture. I said modified tripod hold since the holding and manipulation of movement were done mostly done with first two fingers and the thumb. The third (or ring) finger was in play but it looked as if it were used more as a "brace" to help hold the brush upright, if that makes any sense. The barrel of the brush didn't touch the top or nail part of the finger but rather the tip of the finger. And he did hold the brush as high as depicted in the picture. Perhaps that was his particular individual variation on standard brush hold? Last edited by RNHC; June 8th, 2015 at 01:21 PM. 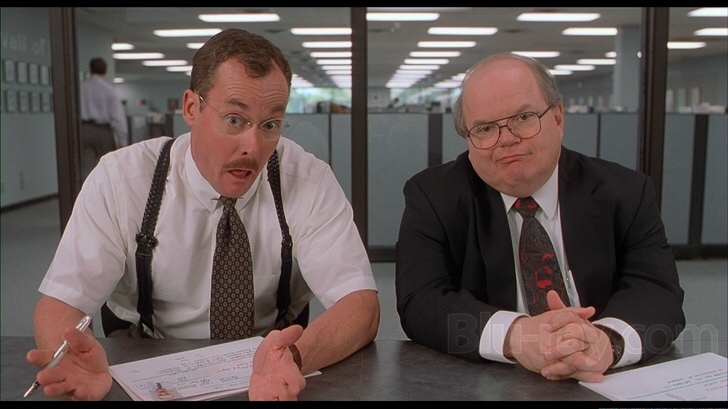 does anyone know the make and model of the fountain pen that is used in office space, one of the bobs always has one while doing interviews. Yes, what fountain pen is that?!! Does anyone have any idea?! I have been watching Torchwood for the past couple of weeks. In the episode I watched last night, Season 1 Episode 12 a couple of the protagonists are transported back in time to 1941 and the mathematician Toshiko Sato complains that she cannot use the fountain pen, with which she must record an important formula. I have no idea what the pen was, but we get a close up of the feed and see her murdering the nib by pressing as if it was a ball point. It looks like a Pilot Metropolitan. Office Space came out in 1999. Was the Metropolitan around then under another name? Maybe it was the Pilot Knight. Edit: No, actually the Knight had a flat top. Maybe it was some other Pilot model?? It could also look a bit like an Omas Ogiva, but I doubt they'd use that for a prop. Last edited by dr.grace; June 10th, 2015 at 08:37 PM.